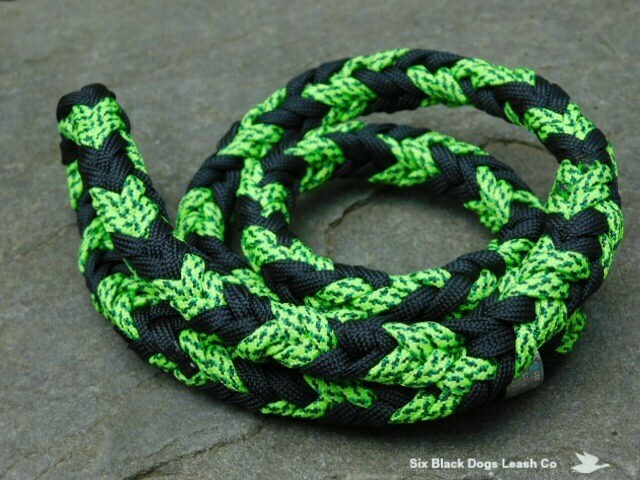 Fancy Braid Slip Street Lead 24"
Multi Neon Green/Black 24" (2 Foot) Slip Street Lead. The shorter length keeps the dog close. 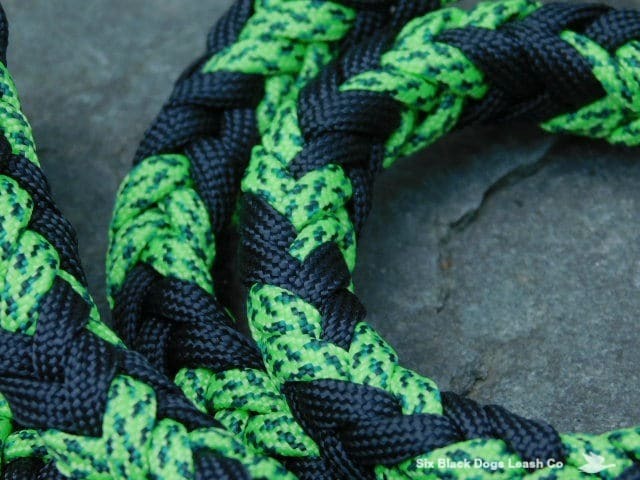 The 8 strand braid with the 550 paracord makes it heavier and a bit stiffer then the standard 4 strand round braid.